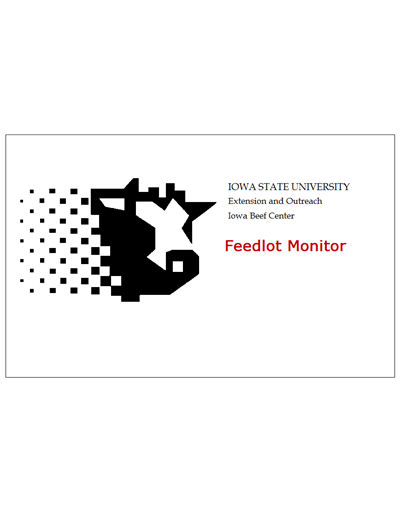 The ISU Beef Feedlot Monitor Software is stand alone, Windows™ based software designed for commercial beef feedyards to monitor animal and financial performance, generate invoices for custom fed cattle and close-outs on finished lots. Input data regarding feed and health product use, production costs and income are used to calculate real time weight gains, breakeven values and returns on cattle moving through the operation. Download and view the free promotional flier (AS 13B) and take a peek at the benefits this software offers. 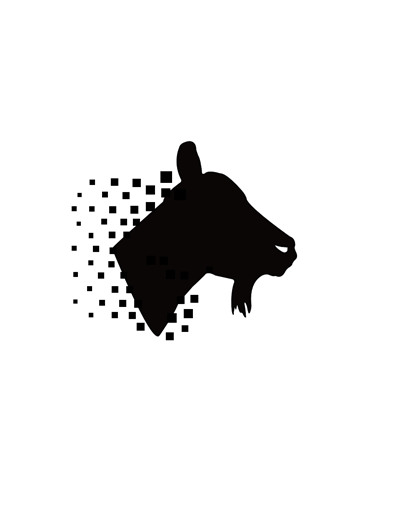 The Goat Brands Nutrition Standard Edition Modules are designed for ration evaluation and manual formulation of growing and mature dairy, meat, and mohair goats. 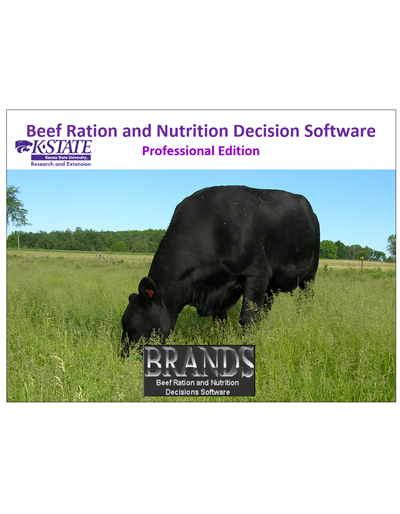 The software utilizes the guidelines outlined in the National Research Council's 2007 publication The Nutrient Requirements of Small Ruminants as the primary basis for these guidelines. Please download the free documentation/help file for further instructions, a preview of what you can expect to find within the software as well as instructions on how to get started once you've purchased the software. 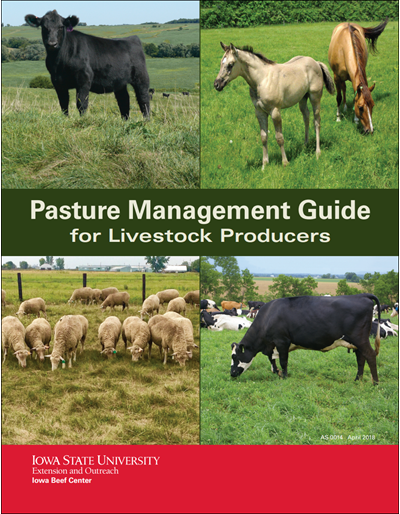 This publication contains estimates of production costs for common livestock enterprises in Iowa. Estimates are intended to reflect average or above-average levels of management using common types of technology. Input prices reflect expected average price levels during the year. Included are modules for breeding cows and heifers, growing and breeding age bulls stocker cattle, and feedlot cattle, with numerous enhancements in each module. 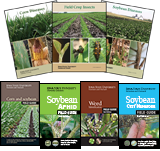 This edition allows you to evaluate rations for groups ranging in weight and production stages. 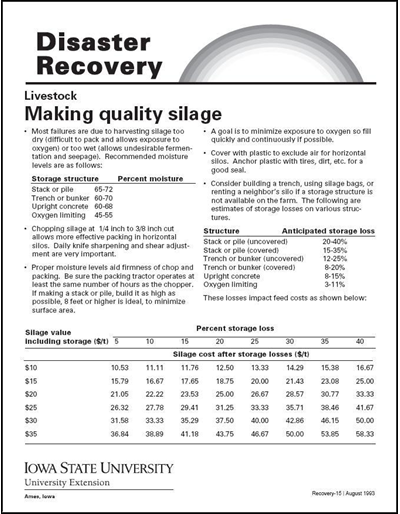 Added features include: all modules are incorporated into one edition with a shared feed library; capability of multiple feed library storages; added professional ration analysis printouts; least-cost formulation; custom mix module; feedlot projections and total feeding period amounts using formulated rations. . 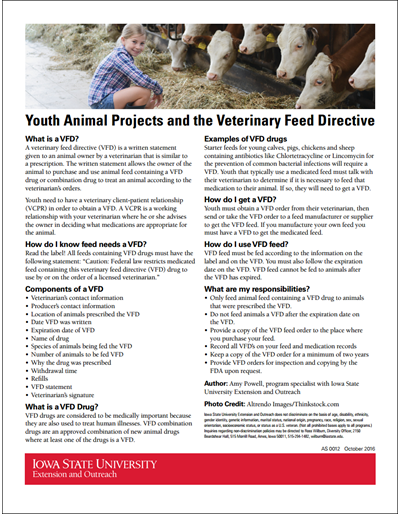 This publication provides information regarding the new veterinary feed directive and how it relates to youth animal projects. Information on getting a VFD, its components and uses are all presented. Protect the health of your herd and prevent economic losses by knowing the signs for this reproductive disease of cattle. Includes prevention and control, transmission, diagnosis procedures, and regulations. 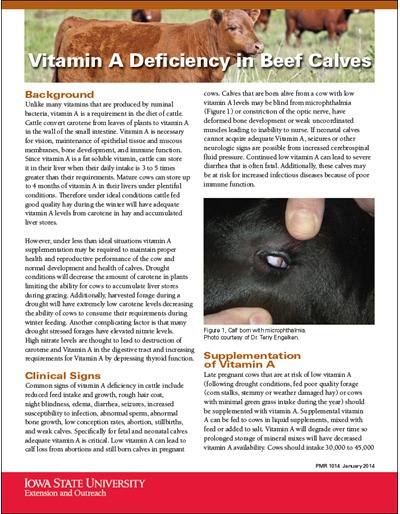 Be able to recognize vitamin A deficiencies in your herd, know the causes, and find out how to prevent the deficiency in the first place. Includes clinical signs and guidelines for treatment with supplements. 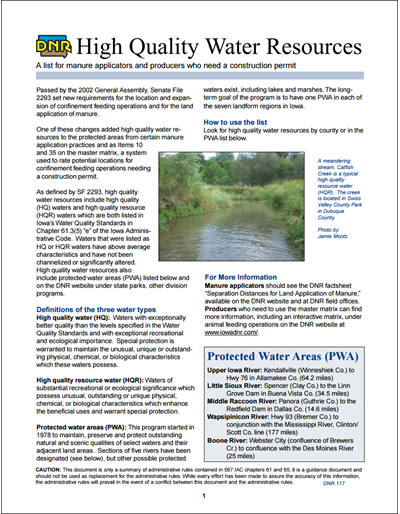 This publication compares the costs of building a quarter mile straight perimeter fence with woven wire, barbed wire, high-tensile non-electric, and high-tensile electrified, and temporary interior fencing. This guidebook walks you through creating a business plan for a small meat processing facility. It uses a real business plan as an example. Use this guidebook to clearly state your business goals, provide reasons that these goals are achievable, and to outline your plan to achieve the goals. Interest in dairy goat production has been growing recently for a variety of reasons. 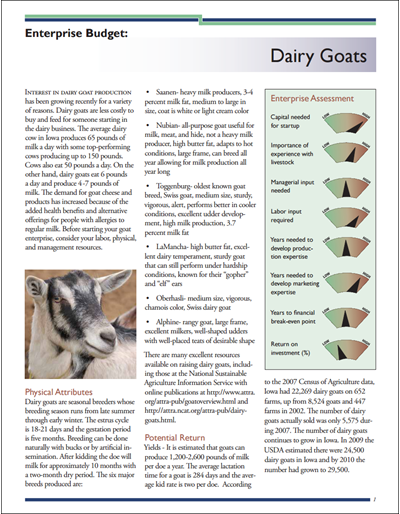 Dairy goats are less costly to buy and feed for someone starting in the dairy business. The average dairy cow in Iowa produces 65 pounds of milk a day with some top-performing cows producing up to 150 pounds. Cows also eat 50 pounds a day. On the other hand, dairy goats eat 6 pounds a day and produce 4-7 pounds of milk. The demand for goat cheese and products has increased because of the added health benefits and alternative offerings for people with allergies to regular milk. Before starting your goat enterprise, consider your labor, physical, and management resources. Clear plastic grid and detailed instructions are included to measure loin eye area. Options in grass may be the most profitable for CRP land when the long term cost of erosion is considered. 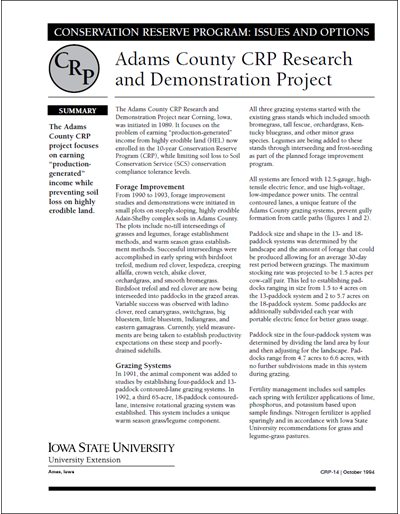 Get the details on six income options: CRP, two rotational grazing options, two crop options (rotational corn/soybean), and alfalfa/orchard grass hay. More than half of Iowa farmland is rented. Decisions regarding who has access to that land and how it is farmed can influence the social and environmental outcomes of family farming. 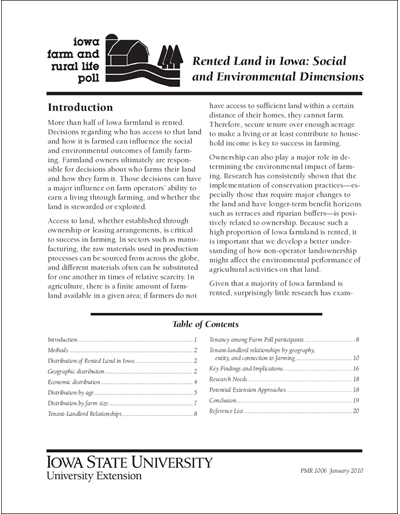 See what the Iowa Farm and Rural Life Poll discovered about rented land in Iowa. Recommendations are suggested to ensure that non-operator landownership is either neutral or beneficial to farm operators, farmland owners, rural communities, and the land itself. 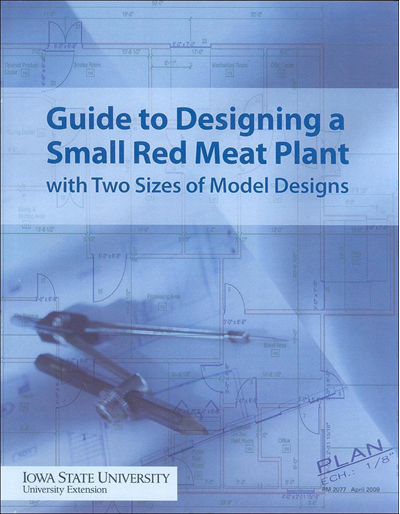 This guide offers insights and formulas for planning the layout of a small-scale locker-type red-meat processing plant. Two model designs are presented and were created by an experienced meat plant consultant. The plans are for initial design use and not for construction use. Swine producers have found that composting is a flexible and reasonably priced disposal method that can be used year round. 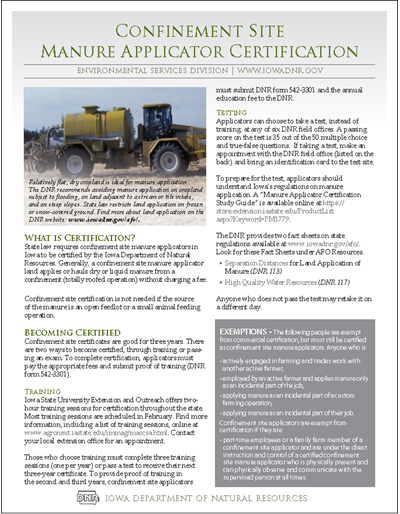 Find out about facilities and equipment, procedures, and regulations. Pit ventilation in livestock buildings can be accomplished with the use of fans along the sides or ends of a pit or by means of a duct system. More uniform pick-up of odors can be achieved with a duct than by using fans alone. This publication includes designs and specifications for maximum suggested airflow for each size duct. 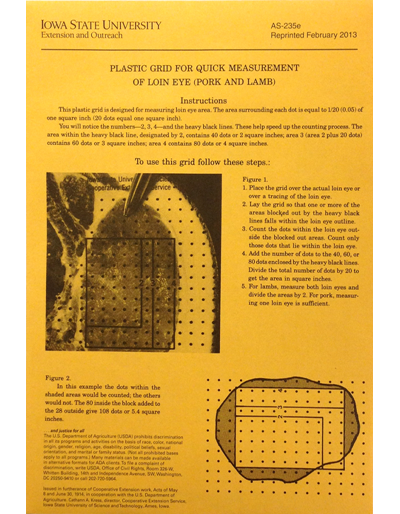 Plastic Grid for Quick Measurement of Loin Eye (Pork and Lamb) with envelope; approximately 6-1/2" x 9-1/2"
This publication discusses the Value-added Agriculture Program and its activities, explains its purposes, and provides necessary resources. Understanding the principles behind effective livestock odor control strategies can help producers decide what to do. Odor measurement is complicated. Find out about dilution-to-threshold methods, which currently are the most widely accepted. 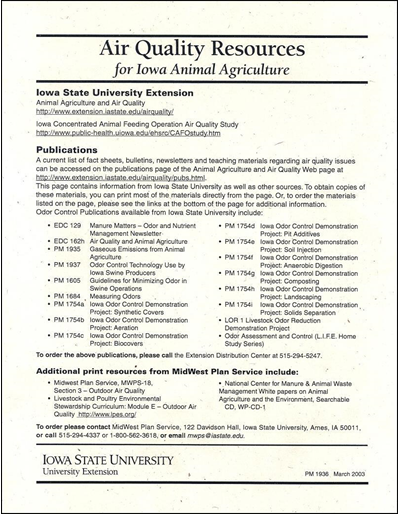 This four-page publication documents past and current research efforts in air quality studies at Iowa State University. The publication also outlines plans for future air quality initiatives. A detailed list of publications, online resources, and research projects on animal agriculture air quality. 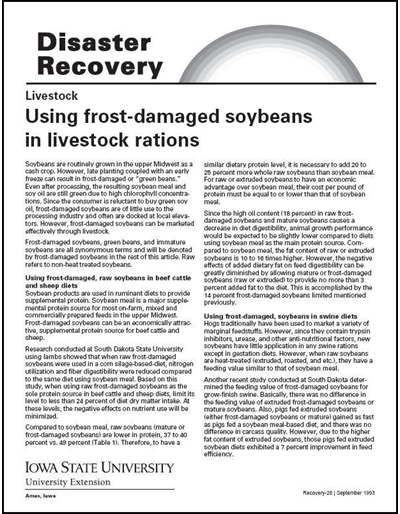 Learn how on-farm composting of dead livestock can save producers money and help protect the environment. 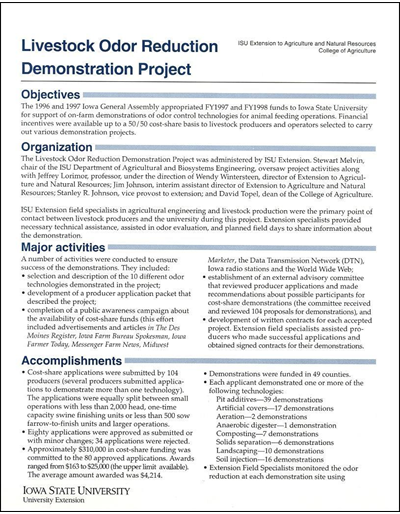 This historical document describes the major activities and accomplishments of Extension's Livestock Odor Reduction Demonstration Project in the late 1990s. 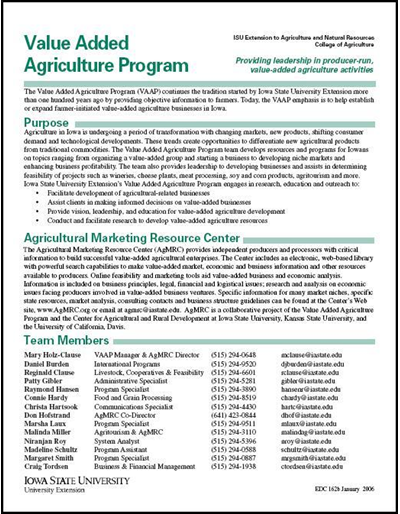 This publication is a supplemental reference for members of 4-H poultry projects as well as providing information for others interested in bantam chickens. The design of successful feeding programs for ostriches and emus is a special challenge to nutritionists and production managers. 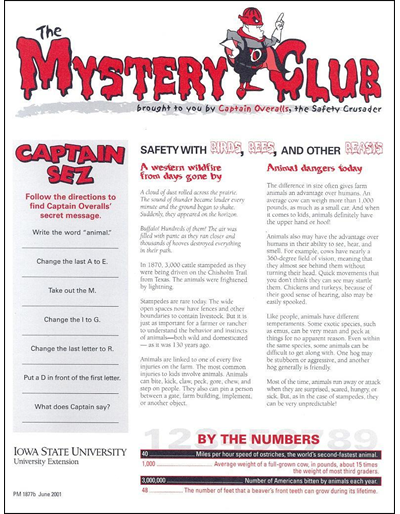 This publication offers suggestions.